It is expensive and for many people it may be too expensive to continue to take, and maybe what you say is true but all I know is I used to have to go to the arthritis doctor every 5 months for injections in my knuckles because they would lock up and it was soooo very painful. I kept praying for a miracle and one night when I was praying, I turned on TV to a christian station and saw they talking about this product so I tried it. All I can say is thank you God, I haven't been back to the arthritis doctor in 2 1/2 years. I am telling you guys the truth. I never tried salmon oil because I cannot swallow large pills, these are easy to swallow for me so I am very grateful. Review #220816 is a subjective opinion of User220816. I am from INDIA and after seeing Lary King discussing the product I called there customer care and asked for its price the person who answered the phone wanted to know my name and location instead of telling the price I refused to tell and he refused to say the price which is on the website.He said have a nice day and hang up.Is this the way it is in USA? Hi everyone! I've been using the Omega XL for 3 months. 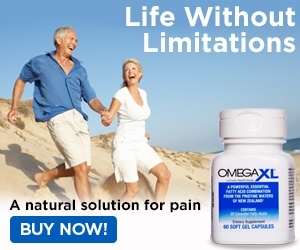 I've been having constant pain for over 30 years due to several ailments but since the use of the Omega XL the pain has lessened. It is expensive but it is worth it. You must continue to use it for the best results. If you have a lot of pain it may take longer to take affect but gradually you will see results. I thank God for Omega XL which I first saw on the Word (Christian) network. 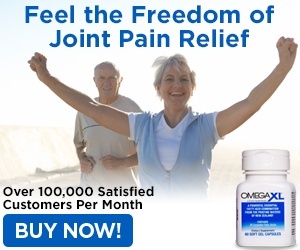 If it is so great like you state then why aren't all of us that have these problems cured by this Omega XL? And if it cured me, I would put my name and phone number so people could call me and I could be honest! Come on, right now there is NO cure for RA, but eating right, exercise and taking vitamines, deleting stress, swimming, etc. If it was so good then why are you anonymous? I'm not sold on any of this junk or words.